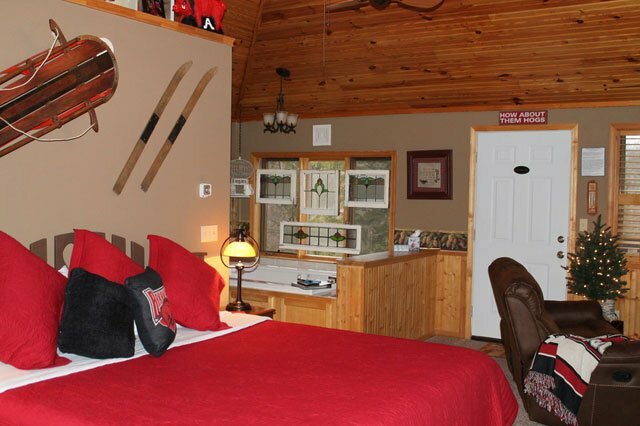 "Knotty, But Nice" has been remodeled with a whimisical décor honoring our Arkansas Razorbacks. It's still very romantic, but with a touch of our state's college spirit, to make our guys feel at home too! When we say a Cottage-Style Room we mean it with its own entrance. There is also a balcony to enjoy and a fishpond just outside the door. Ornamental trees and private parking surround even this. 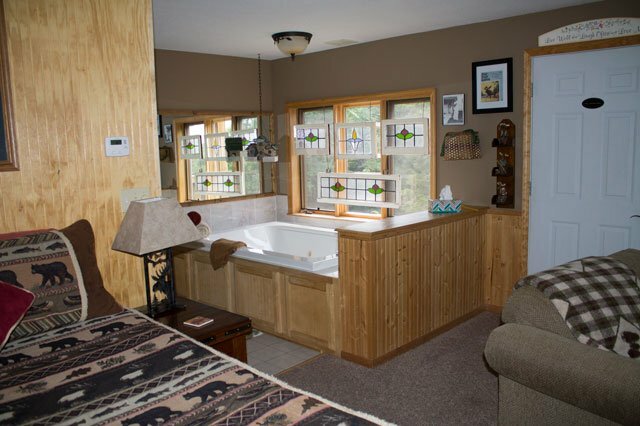 The Knotty Hawg Cottage-Style Room is truly a treat you will come to enjoy again and again during your many trips back to enchanting Eureka Springs. Please Note: Knotty Hawg is our only unit with stairs.